Budget Hotels in Paris can be hard to find, especially for a large group, but it’s much easier for you if you know where to look. We think the Latin Quarter is a great option for your stay and here’s just a few reasons why. The Latin Quarter is one of Paris’s most central and vibrant neighborhoods. It’s a great place for you to find Budget Hotels in Paris to stay with your student group. You can experience Paris from a spot where many tourists may not think about staying. The area is also relatively inexpensive given its central location and constant buzz of activity. If you’ve never been, you may not have heard of the Latin Quarter of Paris before, but that doesn’t mean you it’s not an excellent place to stay – especially with a group of students. This area can be a great way to stay central while also sticking to budget. 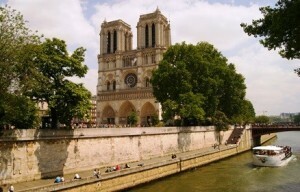 It’s located just a stone’s throw away from the river Seine extremely close to the famous Notre Dame Cathedral on the Isle de la Cité. If that’s not enough, depending on where within the area you are, it is also a short walk from various other attractions, including the Luxembourg Gardens – a beautiful building and landscape you’ll definitely want to see during your trip. On top of that, its proximity to the Seine means it’s also not a far walk to the infamous Louvre Museum – another must see. This walk is approximately 15 minutes, and would also take you directly along the Seine where you should have the chance to see the famous booksellers for some souvenirs. Not only will you have close walking proximity to so many things if you stay in this area, but you’ll also have close proximity to the metro. 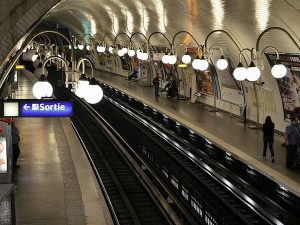 The metro in Paris is so easy to use and will allow you to get anywhere relatively care free, so booking a hotel close to it is definitely a great move. For Budget Hotels in Paris to be close to a metro station is not always guaranteed though, which is why this area is so perfect. 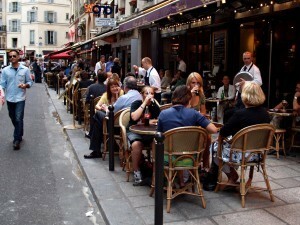 Maybe the best part of the Latin Quarter is that it’s full of great places to eat and hang out. You won’t have a hard time at all finding a place to eat for breakfast, lunch, or dinner near here. Also, you can find restaurants with food of basically any variety, from Indian food, to American style food, to traditional French food, and so much more, it really is a great restaurant area. Not only is it great for restaurants, but it also has a so many bars, some of which have consistent live music. In the summer and warmer months especially, this is a great addition to the area because wherever you walk in the evening, you hear these performers. The liveliness of the neighborhood makes it great for students, adults, families and the elderly – it is so versatile that all ages can enjoy some, if not all aspects of it. It’s time for you to book! If you’re coming with a student group there’s really no better place for budget hotels in Paris than the Latin Quarter – if you’re looking for help planning your trip click here. If you’re visiting Paris with a group of students, what to eat is just as important as what to see, and we get that! That’s why we have created a list of must try foods in Paris, especially for you and your student group. Paris is a city known globally for its museums, attractions, and for its food! If you’re visiting with your student group, we really recommend you think about what foods you want to try before you arrive, so you can be sure you won’t miss out on anything! We’ve come up with a list of our must try foods in Paris to help you plan! Croissant -Weather it’s a plain, chocolate, or raisin croissant, you must have at least one (or more!) during your visit to Paris. If you go out to breakfast, consider ordering the French breakfast – usually consisting of a chocolate and plain croissant, a hot drink, and a juice! Baguette – So, this may not be exclusively a breakfast food – you can have it any time of the day! But weather its morning afternoon or night, it’ll still be a delicious way to experience French food. We recommend buying a fresh baguette from a local Boulangerie, which you’ll definitely see during your explorations. Crepes – You’ve likely already thought about Paris crepes before even arriving. 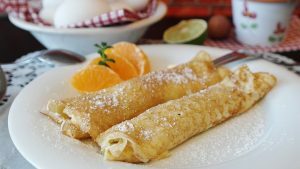 Be sure to stop by at least one of the famous crepes stands and try either a savory or sweet crepe with your group. Steak Frites – One of the most famous meals Paris has to offer – steak and fries! What’s not to love? Definitely give this meal a try during your school trip. 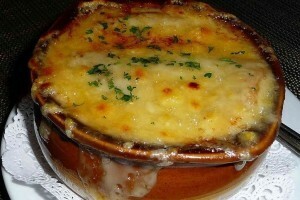 French Onion Soup – Served with a coating of cheese – which the French are also famous for – this is definitely a must have. 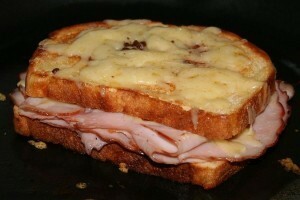 Croque Monsieur (or Madame!) – What’s not to love about a baked or fried ham and cheese sandwich? Definitely order a Croque Monsieur at least once, and if you’re wanting to add a little something, try a Croque Madame to get the ham and cheese deliciousness topped off with a fried egg. For any vegetarians reading this, many menu’s will also give you the option of a veggie croque; usually with cheese and tomato which should not go amiss. Quiche – With a huge variety of fillings, quiche should absolutely be on your list of must try foods in Paris. We recommend any variation that suits your taste buds. 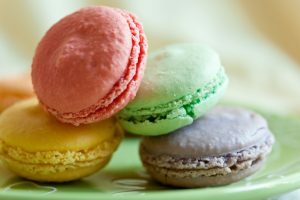 Macarons – As one of the most famous French desserts in the world, it would be a mistake to leave Paris without trying them. Take your pick from one of the many famous Macaron stores across the city – or even try a local boulangerie if they have them. Éclair’s – This pastry, chocolate, and cream combo has to make it onto your list of must have’s in Paris. Make sure you have one while you’re in the famous city. 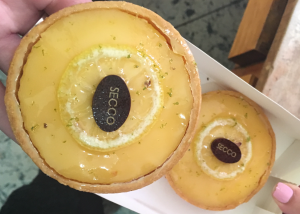 Lemon Tarte – If you go into any boulangerie in Paris, you’ll likely notice their personal sized lemon tarte’s, and you should definitely have at least one while visiting. Crème Brulée – You may find you need to go to a restaurant for one of these tasty treats, but if you do see it on a menu, we would definitely recommend ordering. 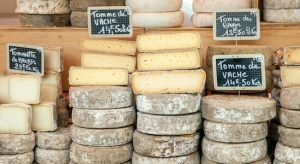 No list of must try foods in Paris would be complete without mentioning cheese! From Brie to gouda to goat’s cheese to blue cheese, Paris has it all. There are shops all over that exclusively sell the stuff! Or you can sit in a restaurant and order a plate of cheese for sharing! However you decide to do it – you have to have some of Paris’s famous cheese before you leave. We hope you’ve found this list of must try food in Paris helpful for the planning of your trip! For more help with your group trip, click here.